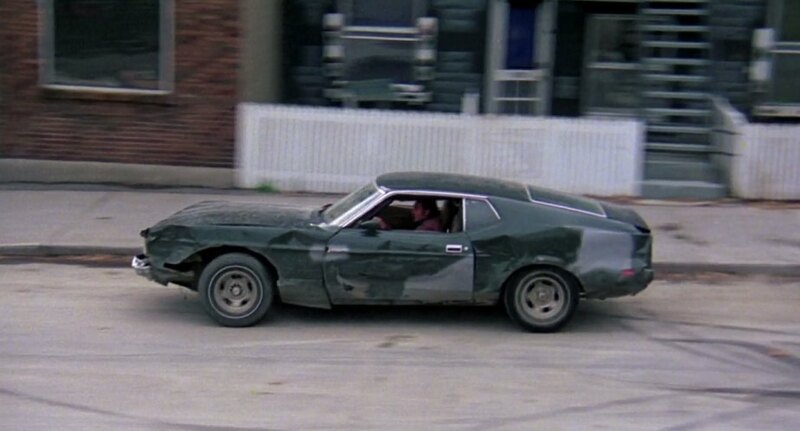 IMCDb.org: 1971 Ford Mustang in "A Special Magnum for Tony Saitta, 1976"
Actually this isn't a Mach 1...it lacks the hood scoops, lower air dam, and striping. 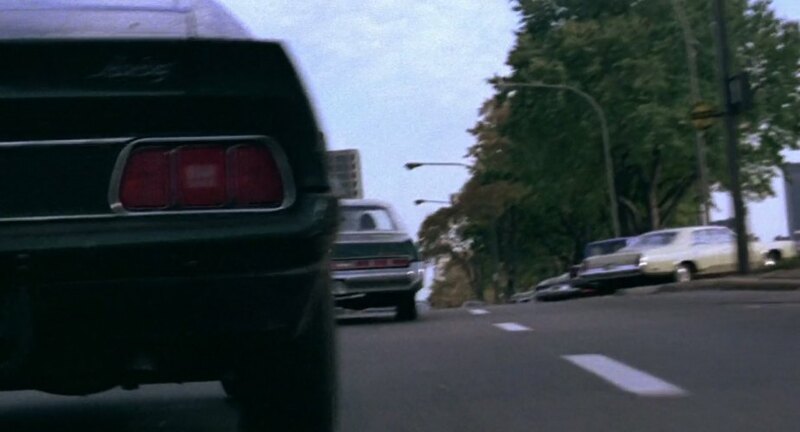 Rather, it appears to be a base-level or GT sportsroof. 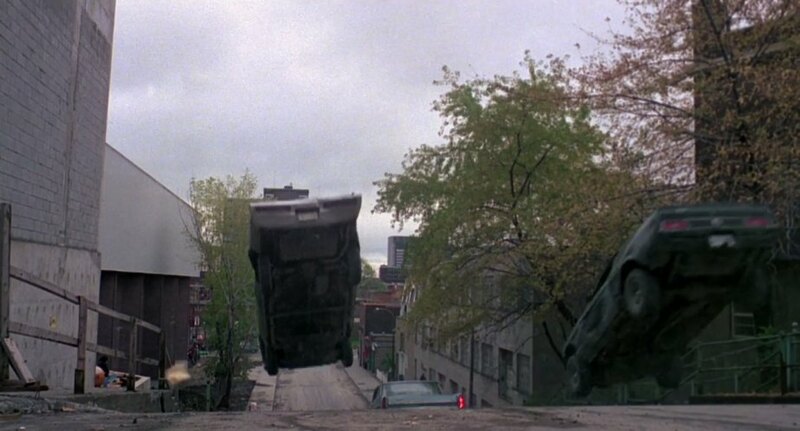 The jump picture looks familar! 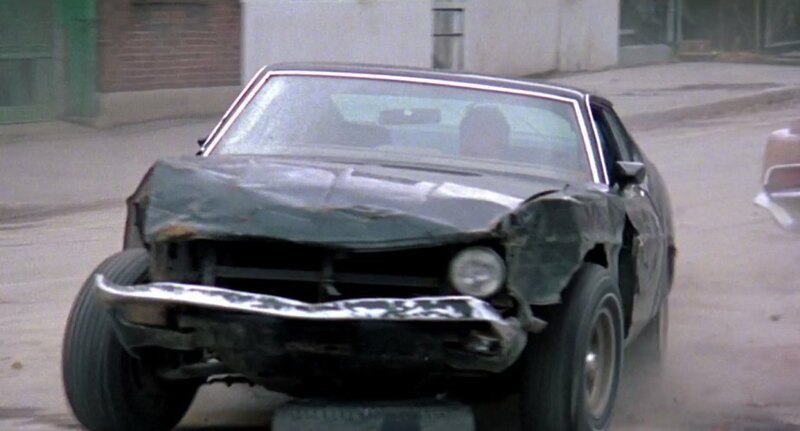 It's even a similar car! 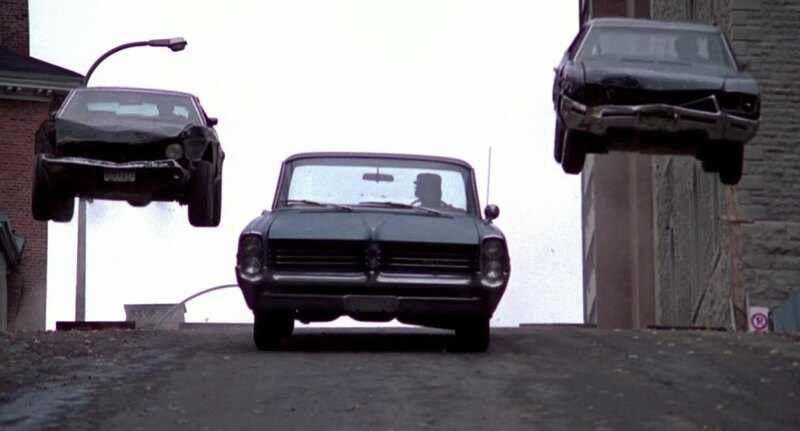 Silverstone wrote The jump picture looks familar! 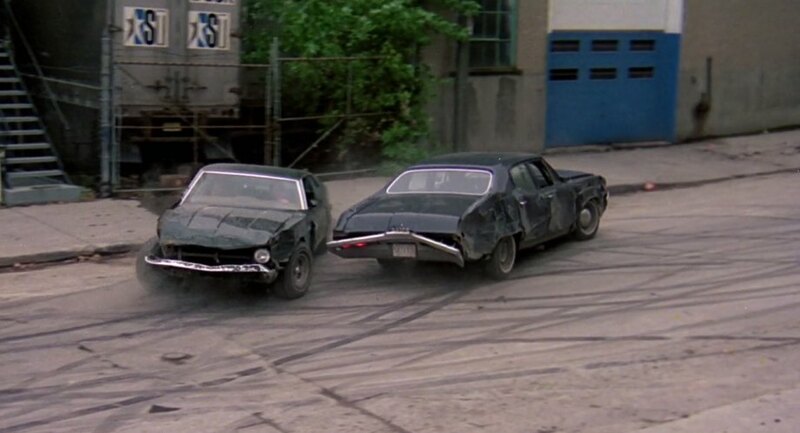 It's even a similar car! 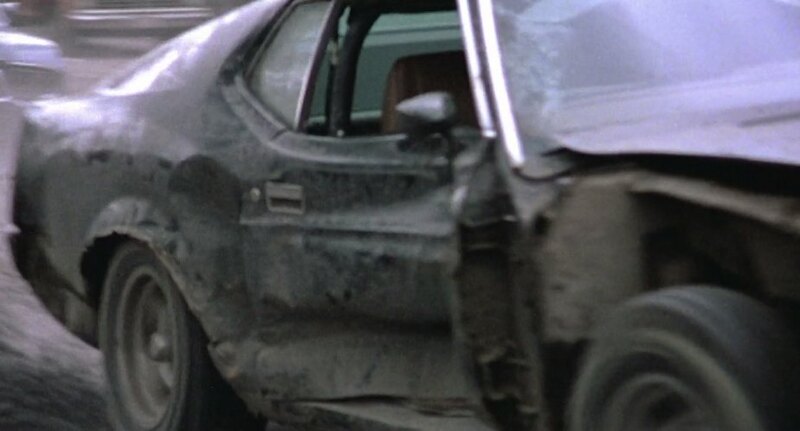 ..Do you mean.."Gone in 60 seconds".? 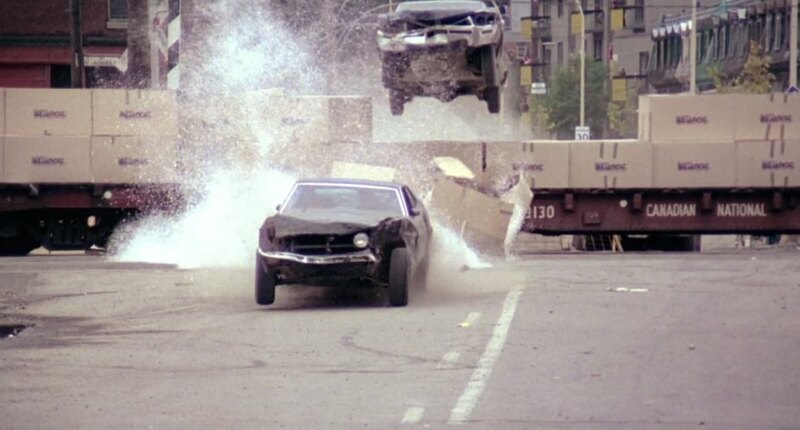 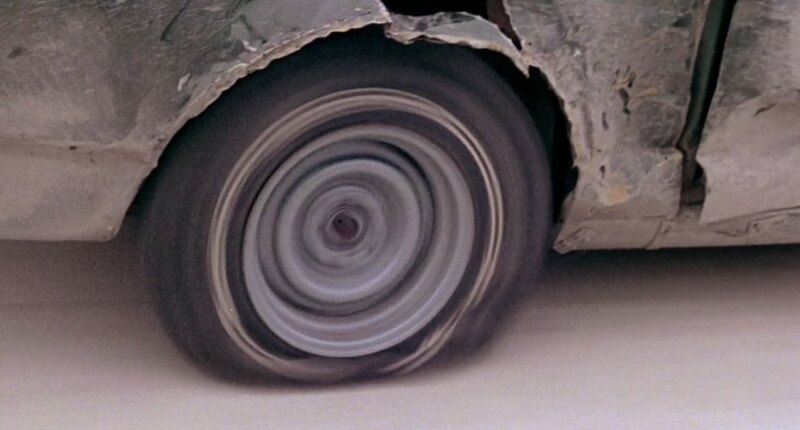 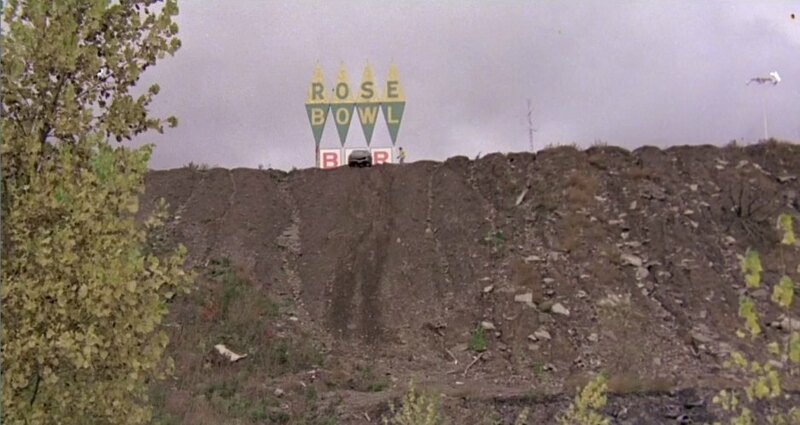 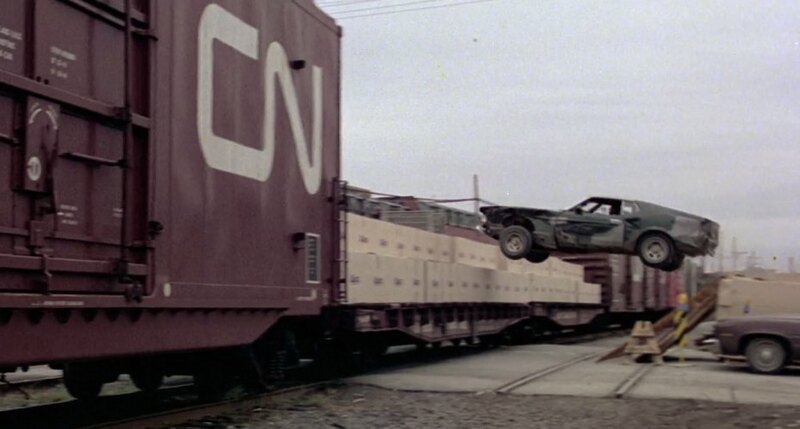 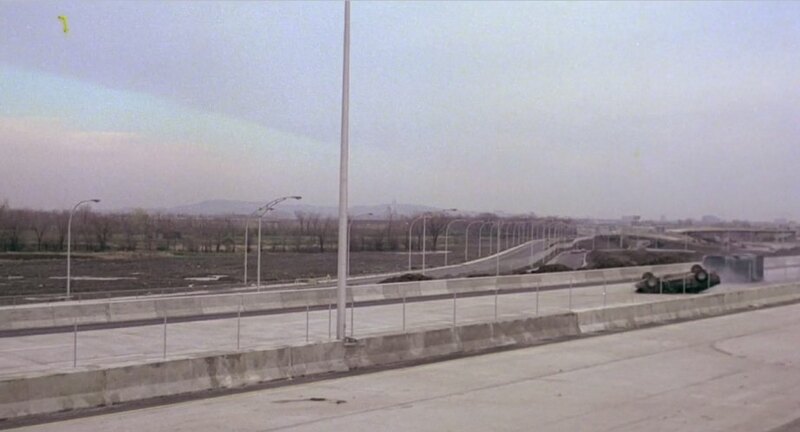 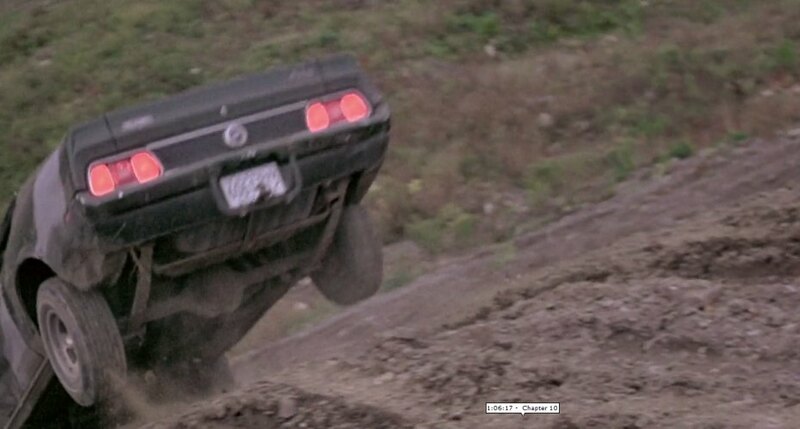 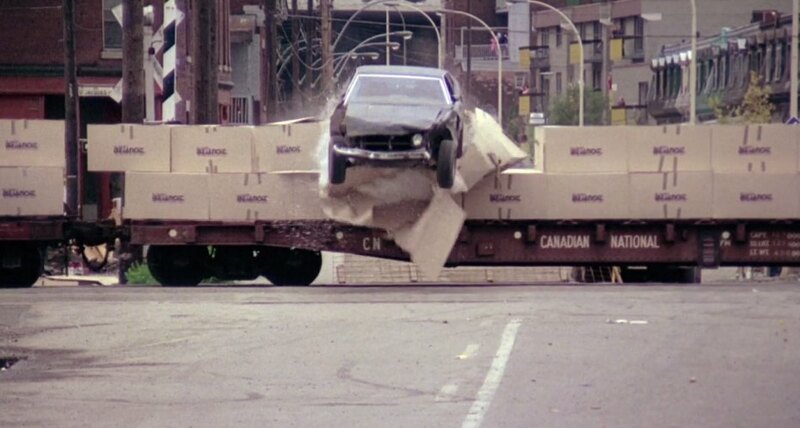 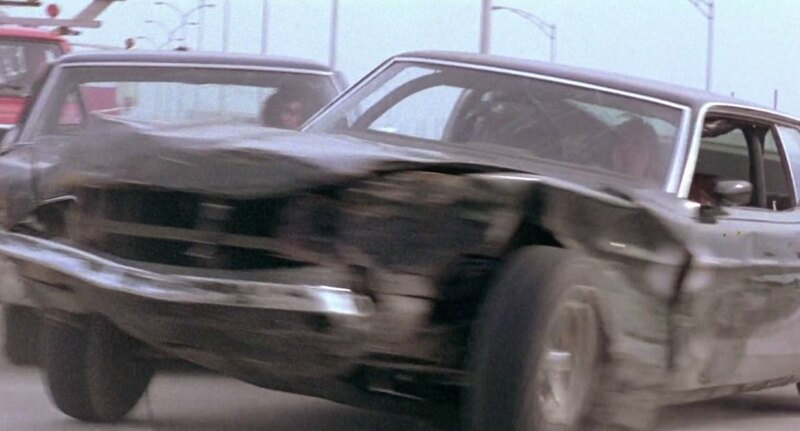 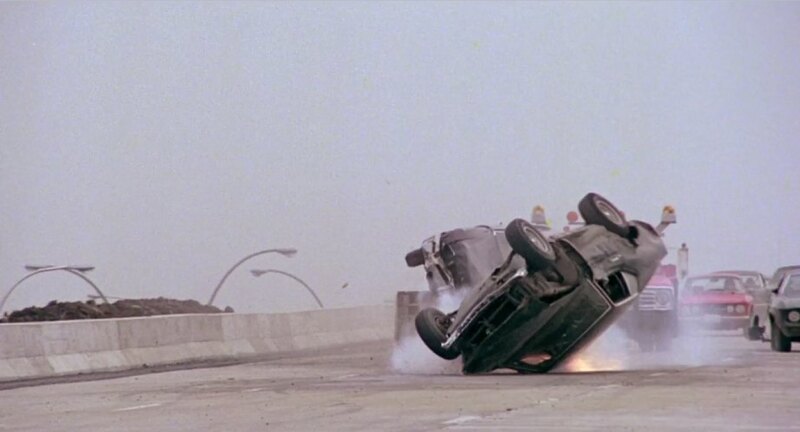 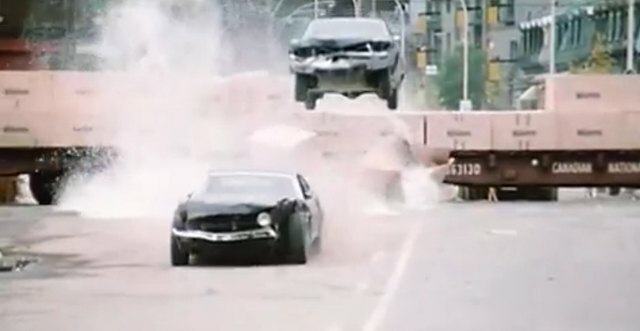 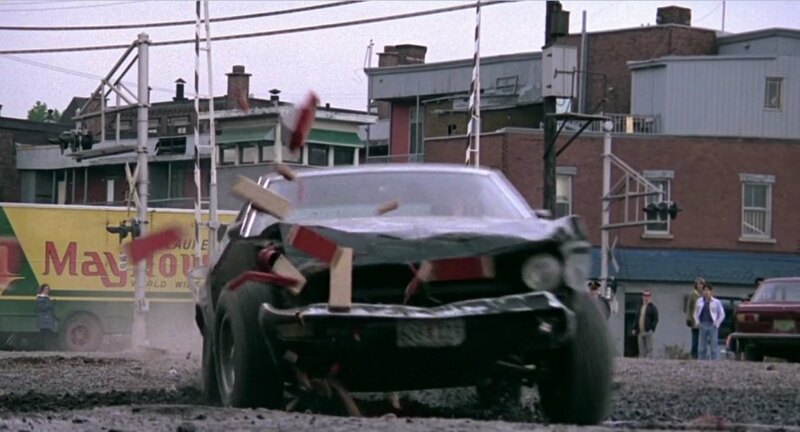 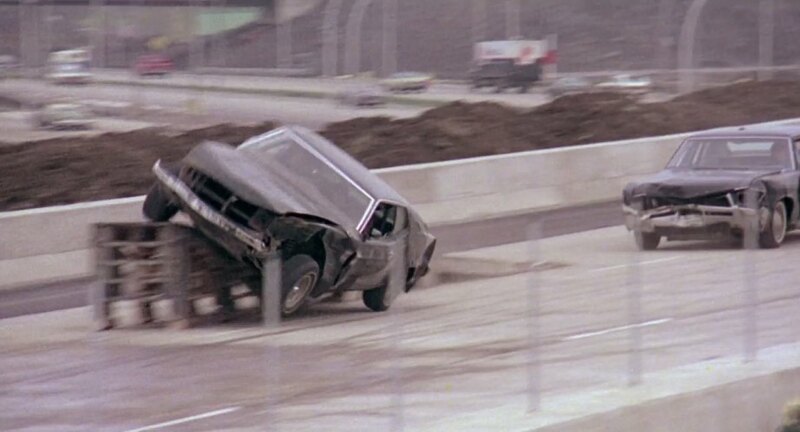 Gone In 60 Seconds features simply the best non cgi jump ever. 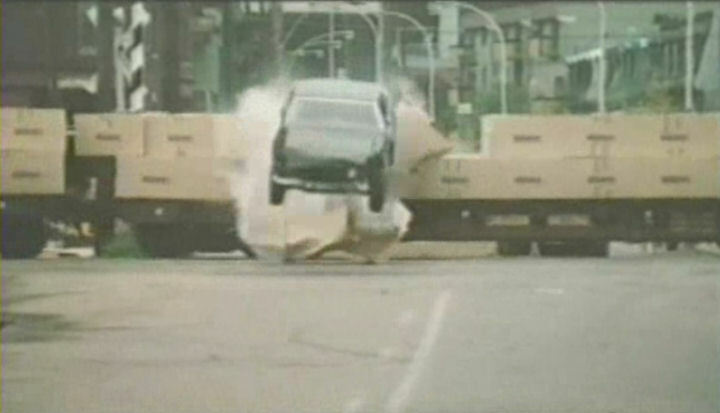 Just stating a fact However that jump is extremley impressive as well in my book particularly with the way the other car is forced to follow. 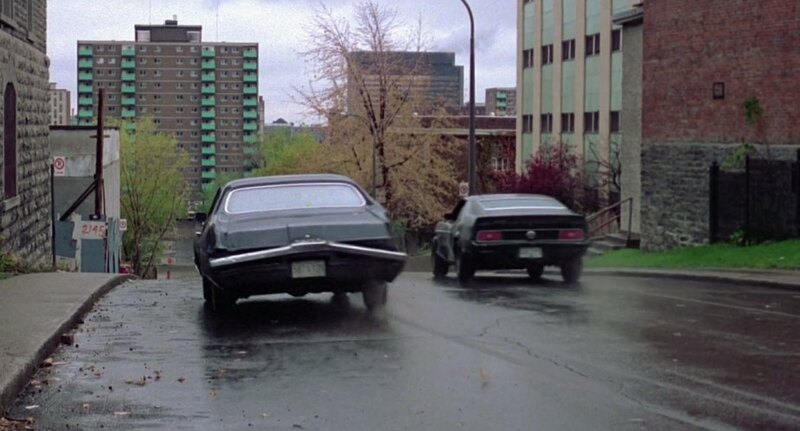 This is not 1970 model, this is larger 1971 - 73 body. 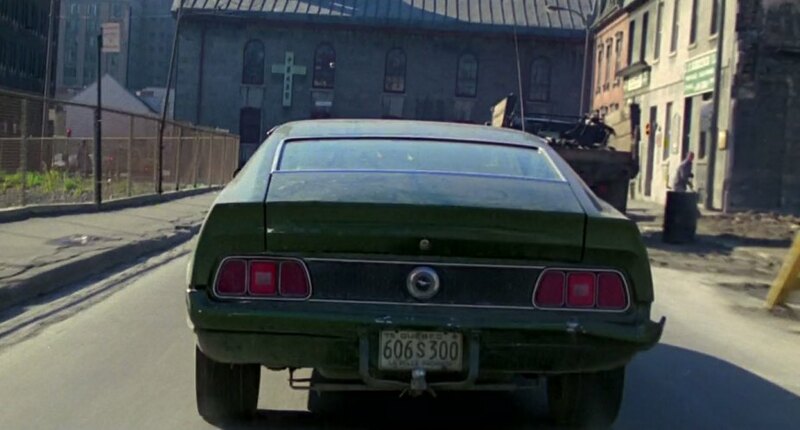 This is a 1972 Mustang SportsRoof (has the Mustang lettering on rear panel in script (72 - 73) not block letters (71) and has the 1971 - 1972 grill. 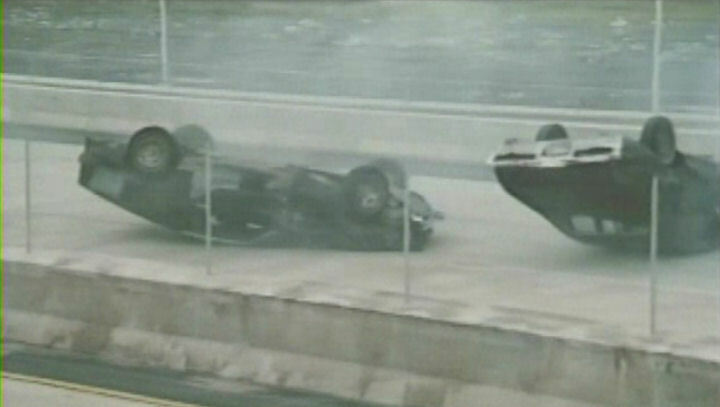 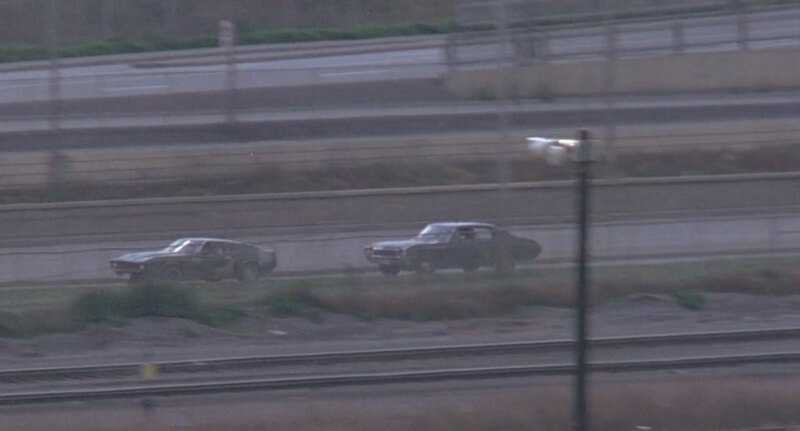 It is also the movie clip used in the geico commercial "do dogs chase cats"
Mike962, any thoughts on this one? 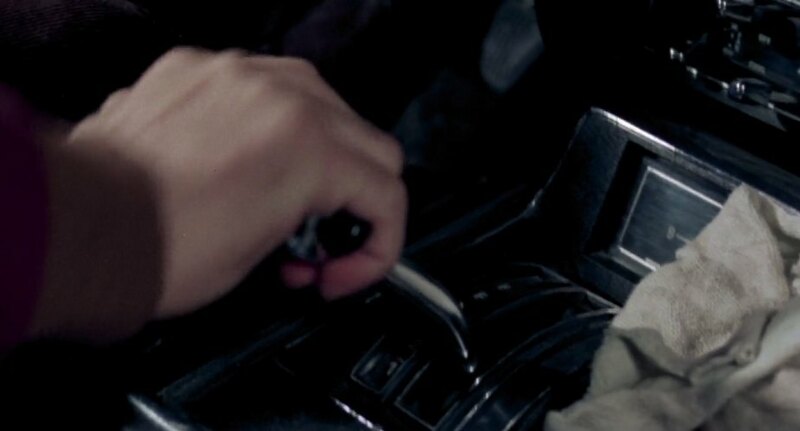 Clearly says 'Beaver' on the arm and what looks like a '#00' on the counterweight. 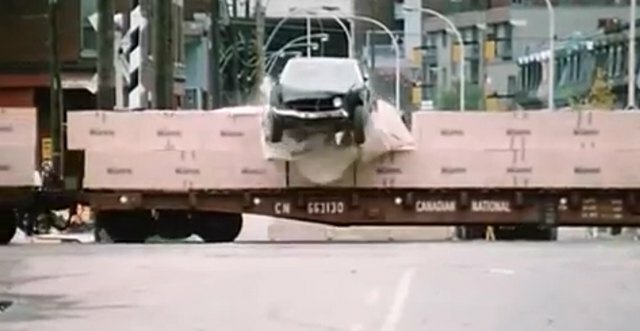 I can find several machines named Beaver (Plasser & Theurer Beaver railway tampers, Beaver excavator attachments for ATVs, the Wheeler Beaver amphibious ATV made in Canada in the '60s, Priestman Beaver excavator, Ponsse Beaver tree harvester, Beaver motorhomes), but none look like this. 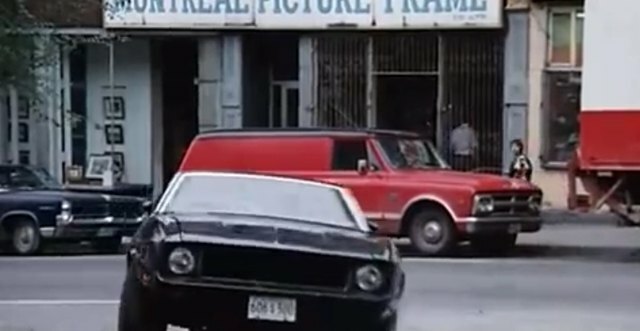 Possibly Beaver is the name of the company that owns it? 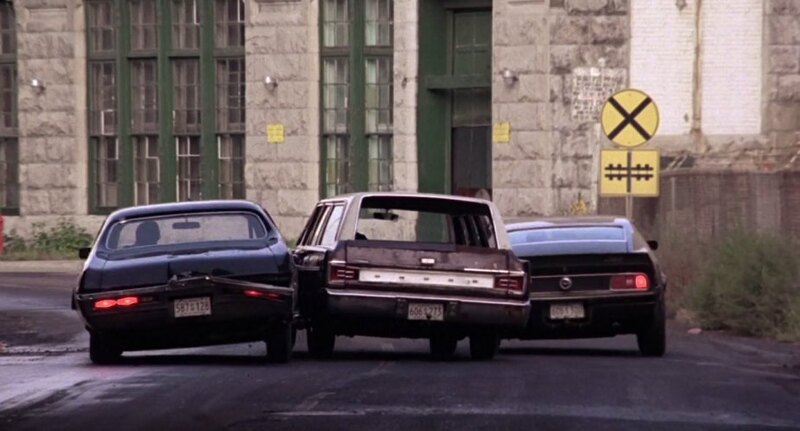 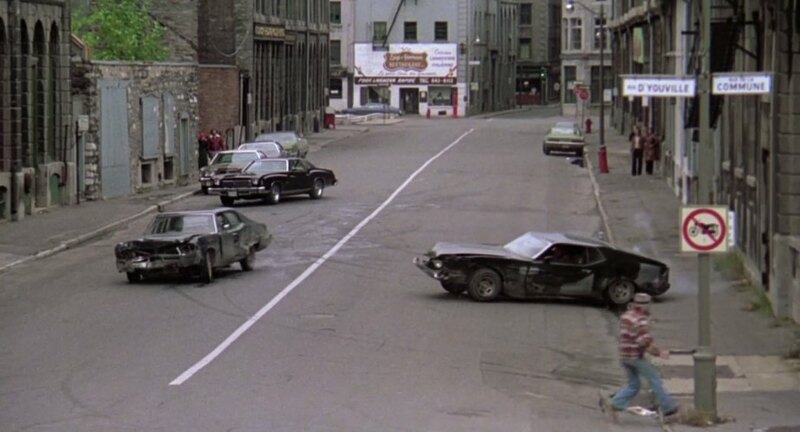 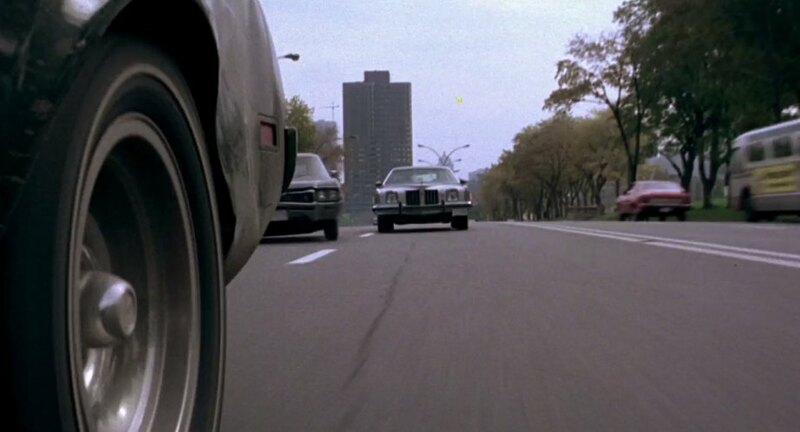 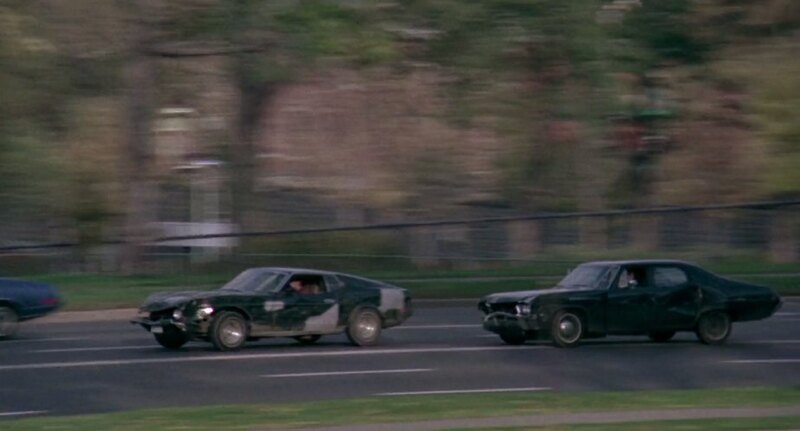 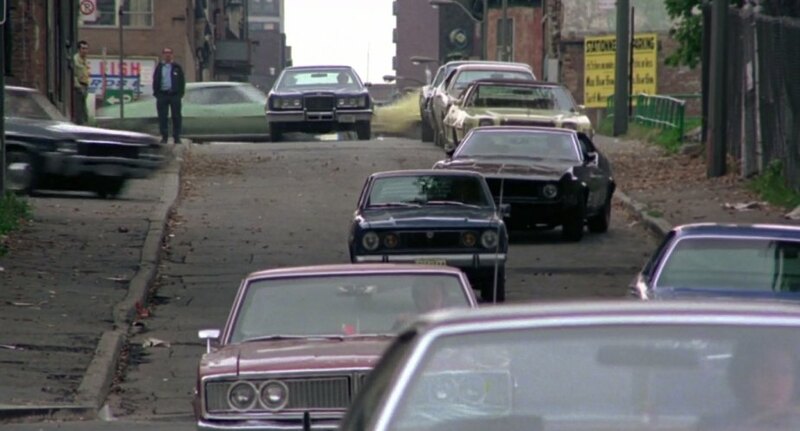 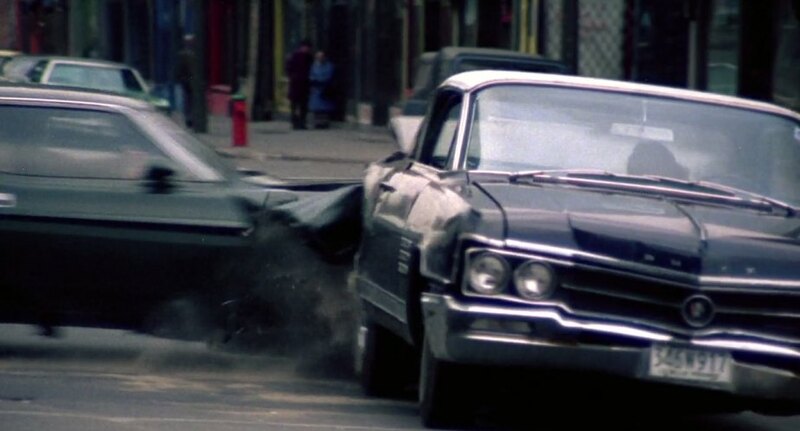 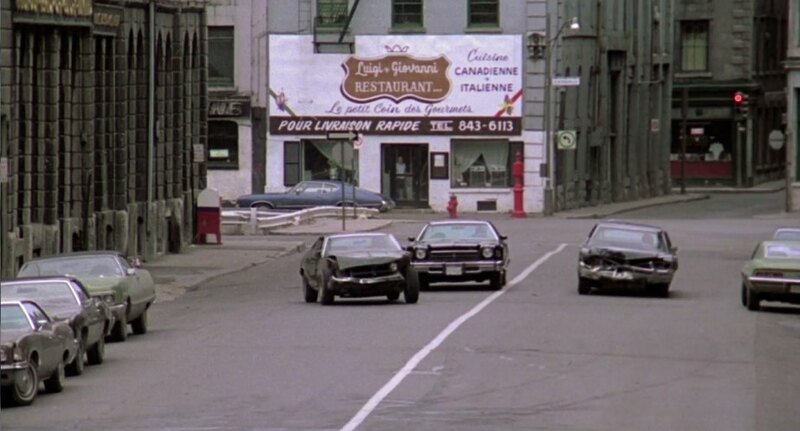 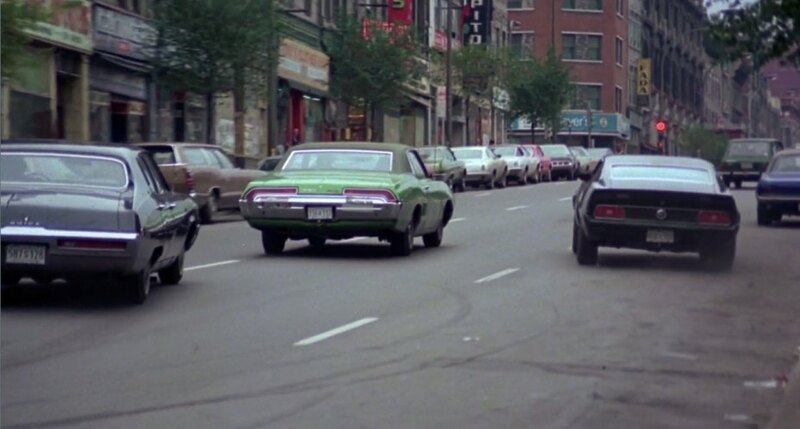 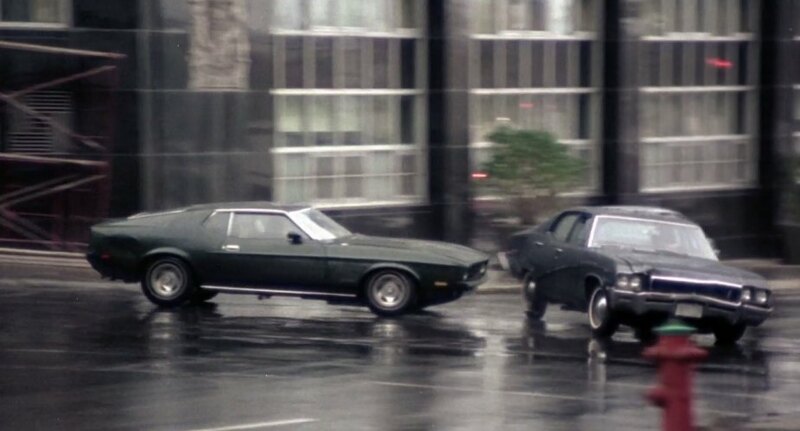 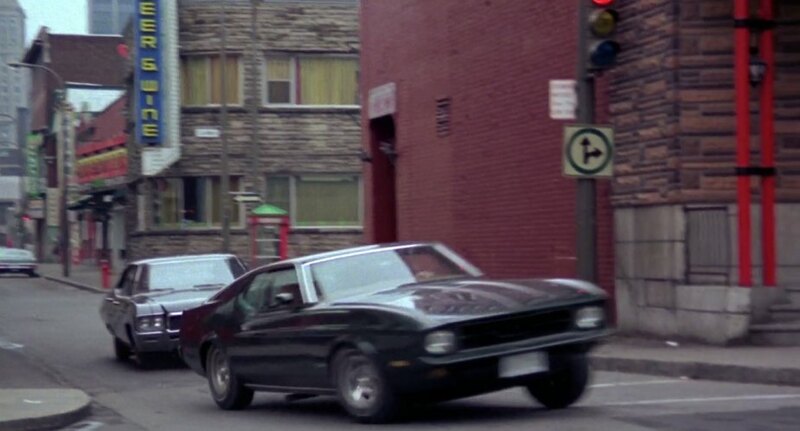 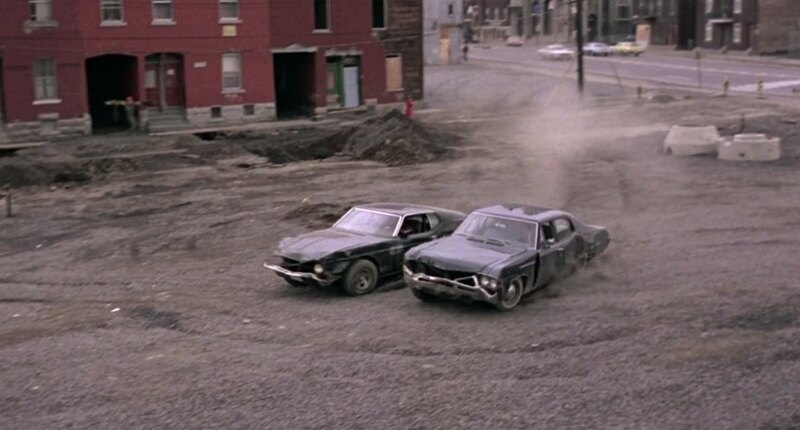 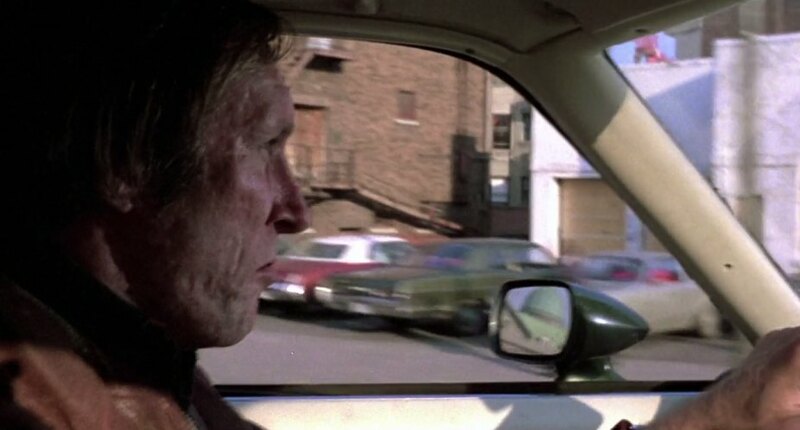 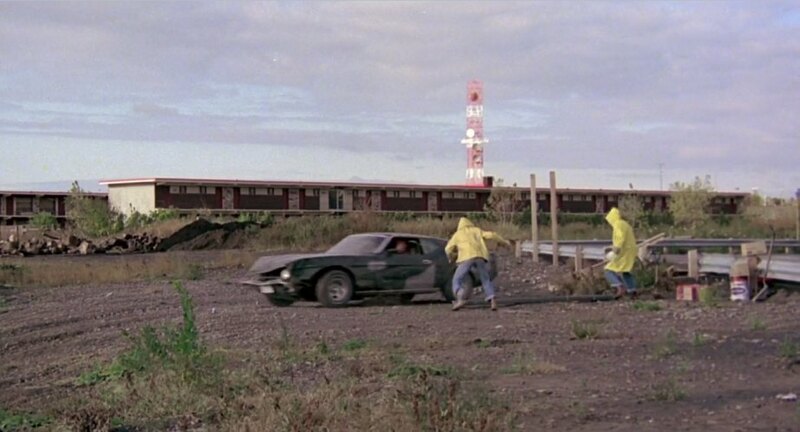 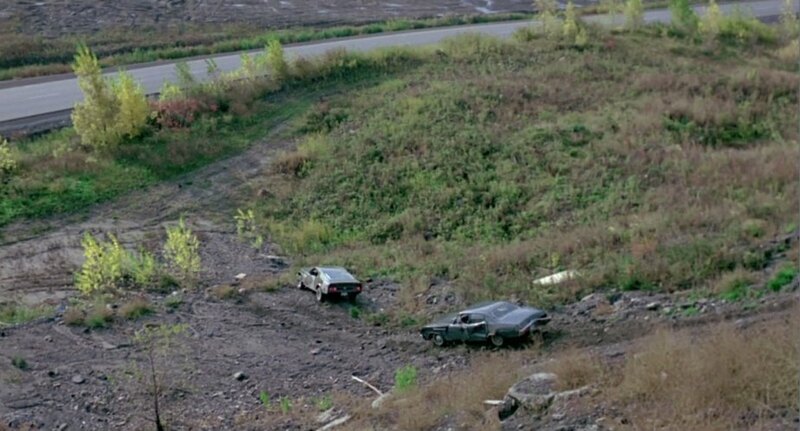 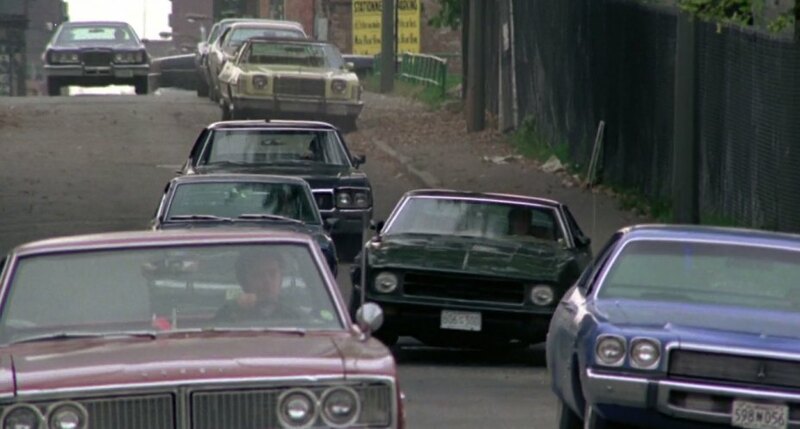 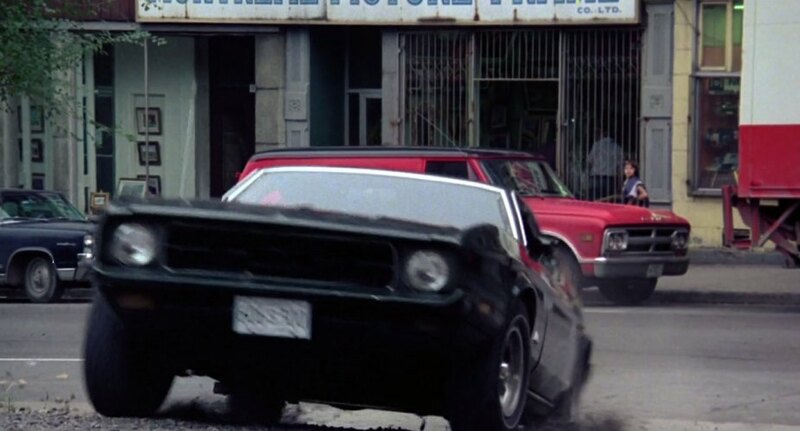 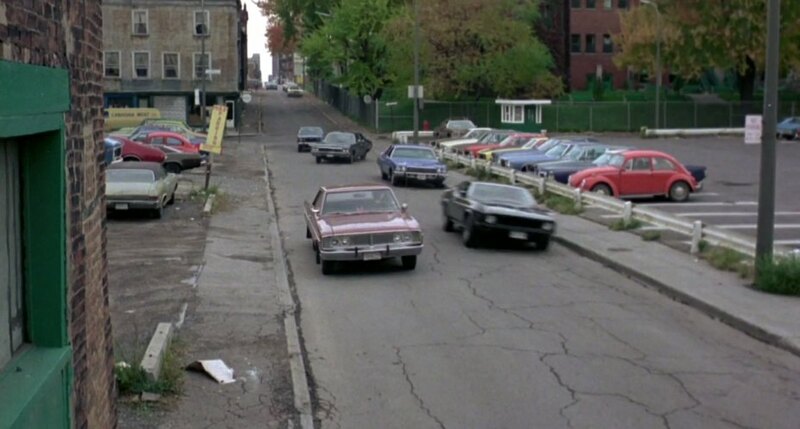 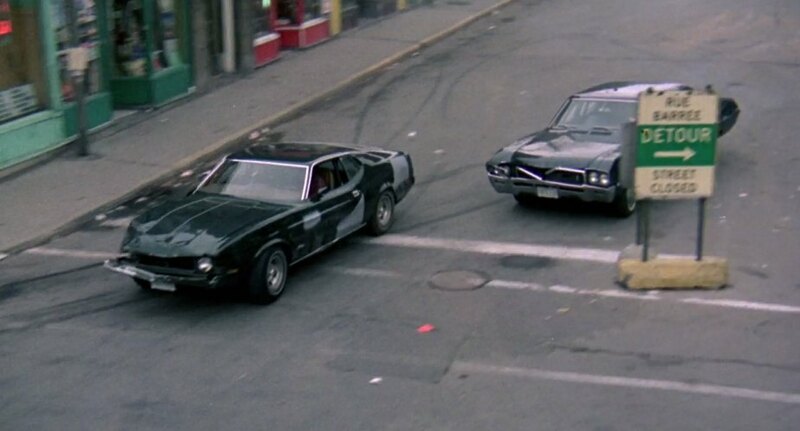 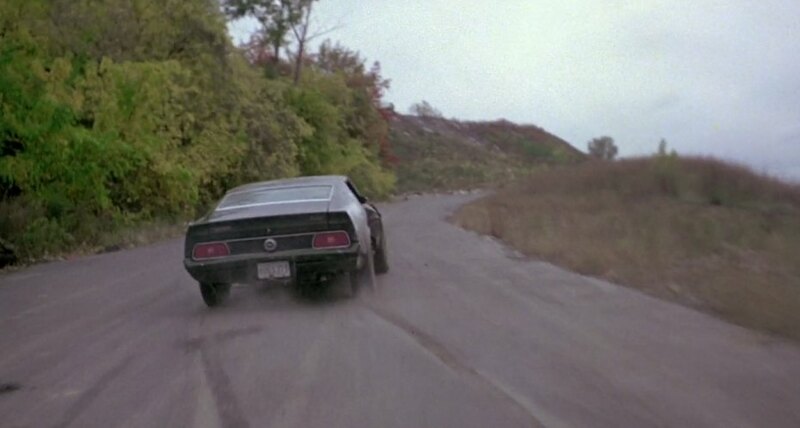 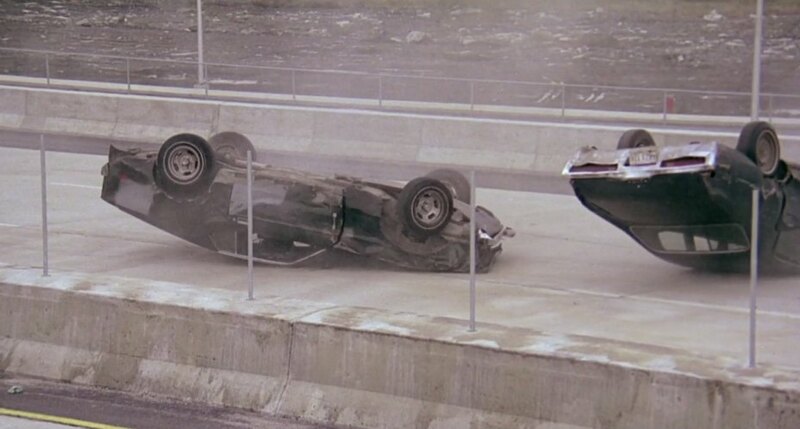 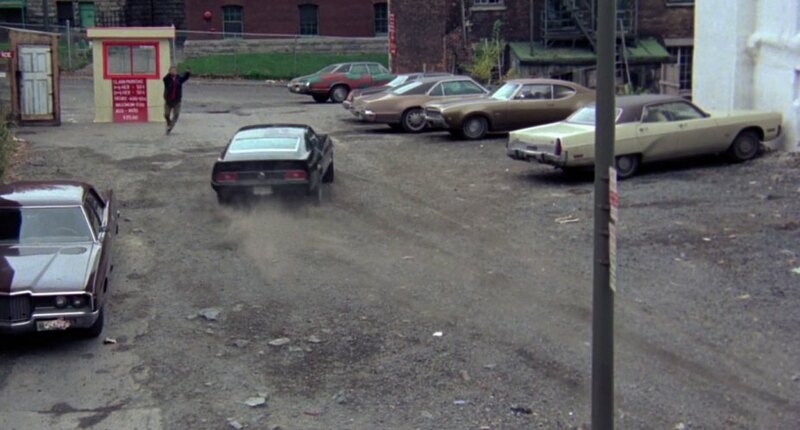 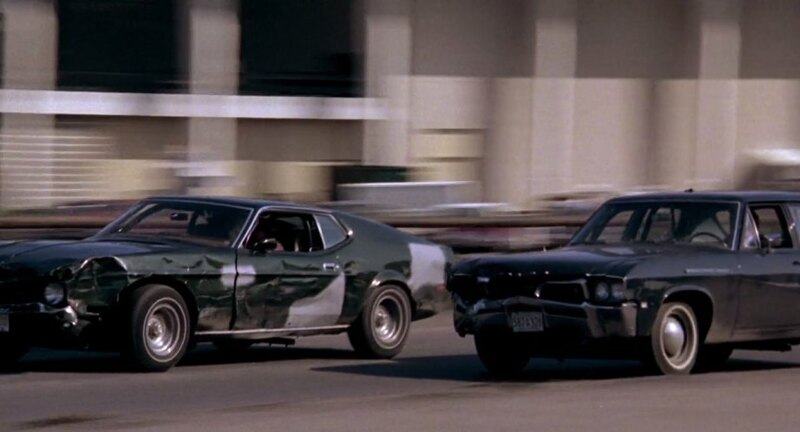 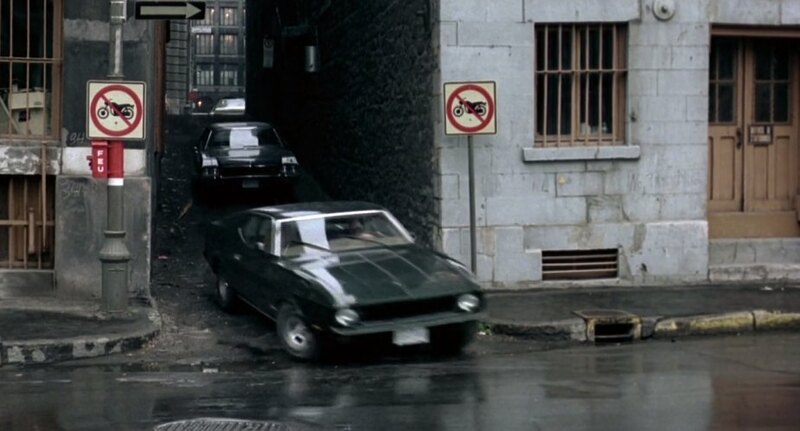 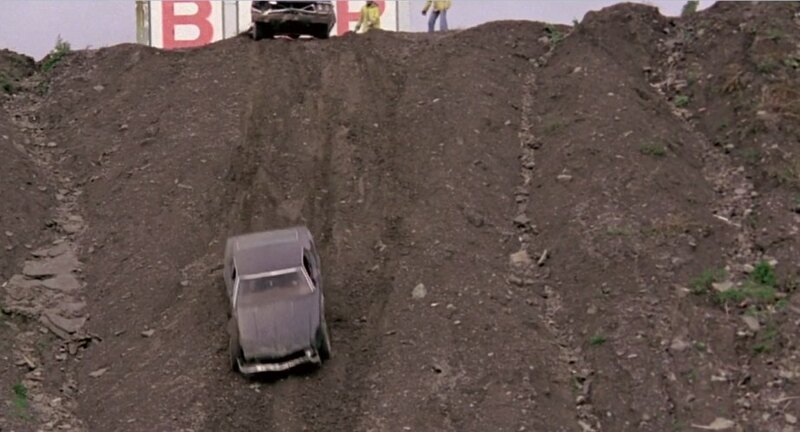 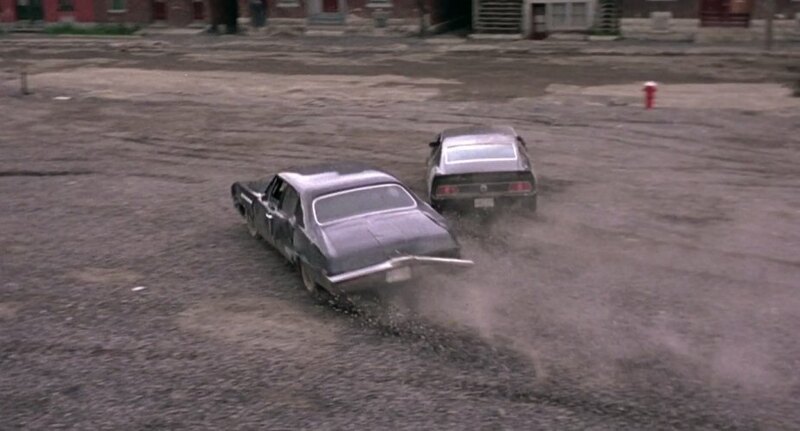 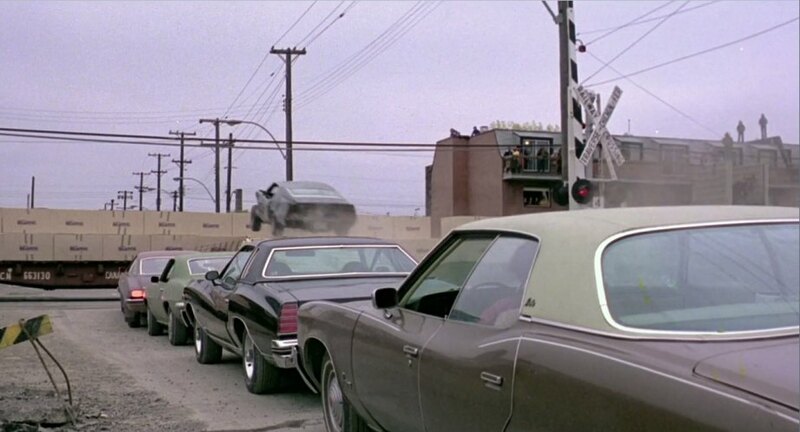 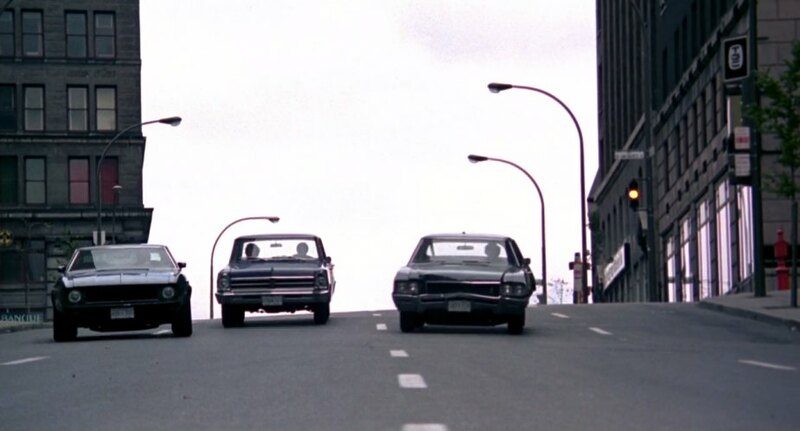 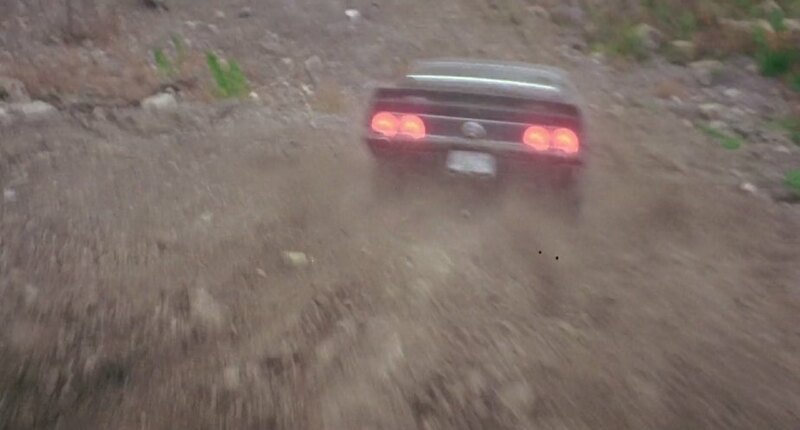 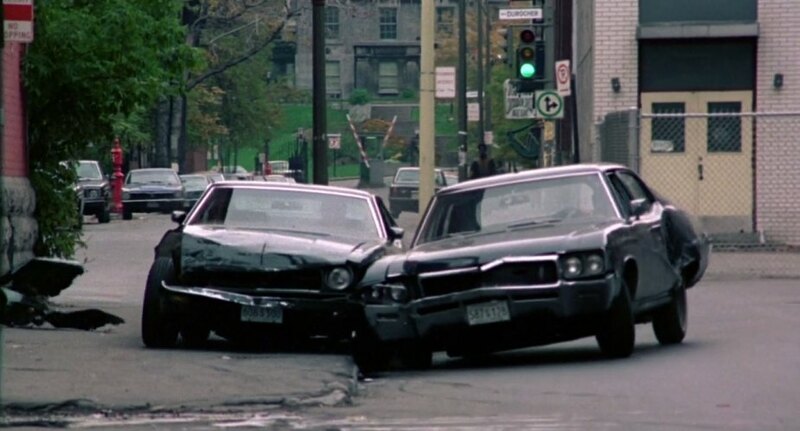 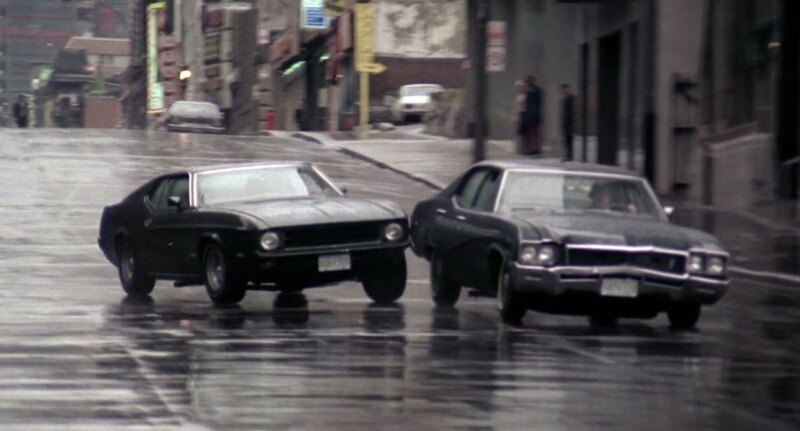 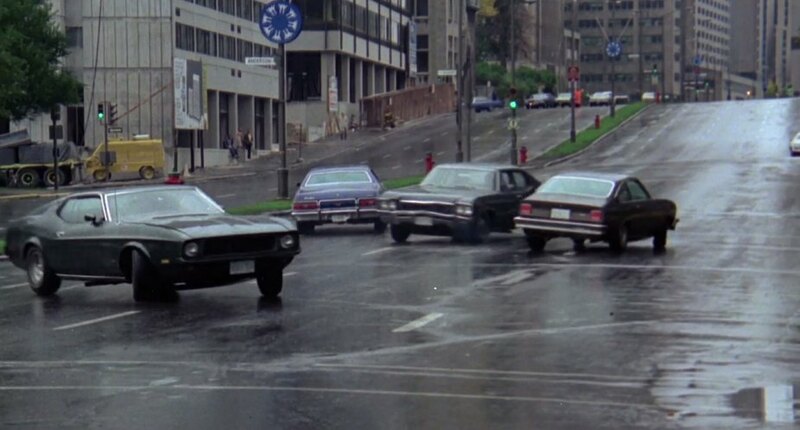 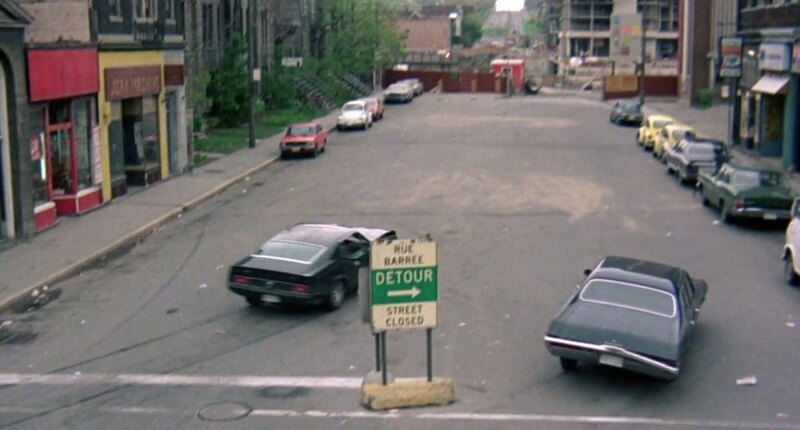 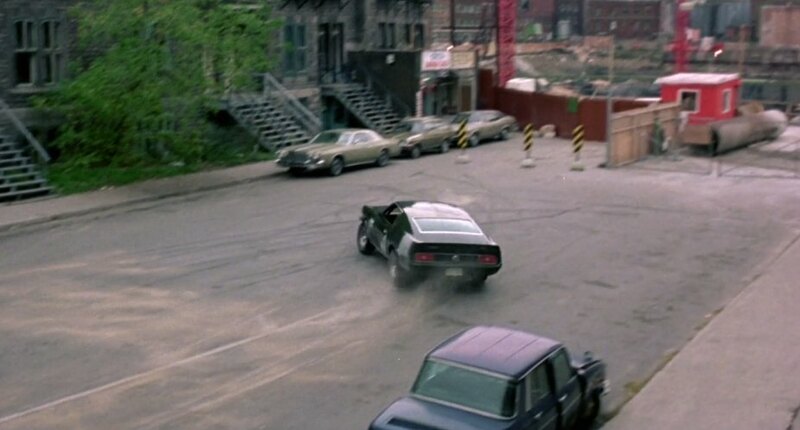 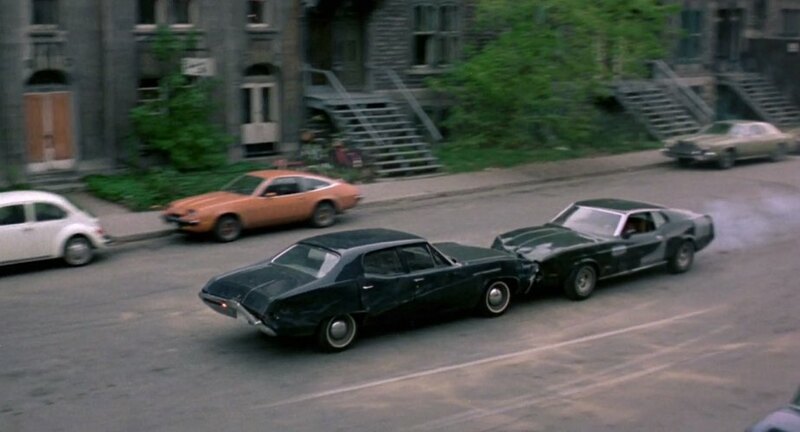 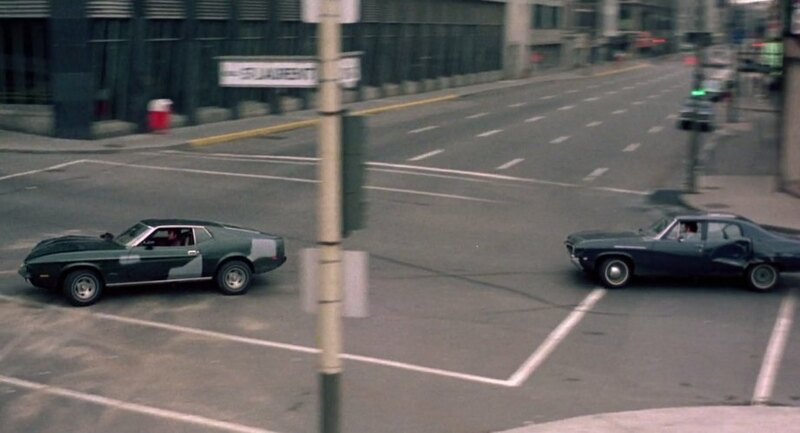 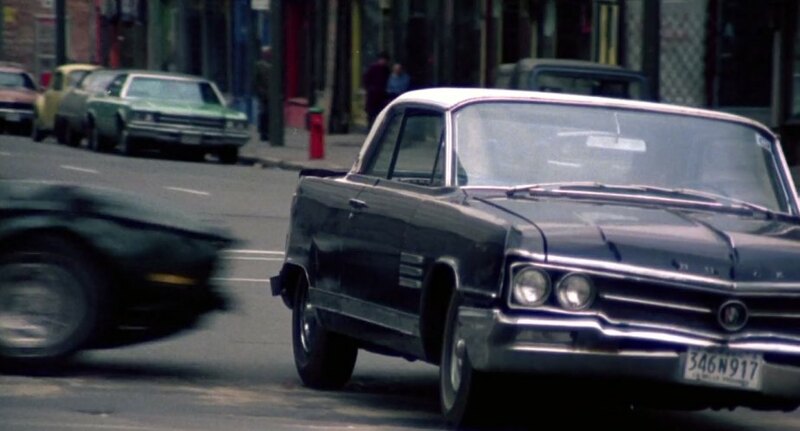 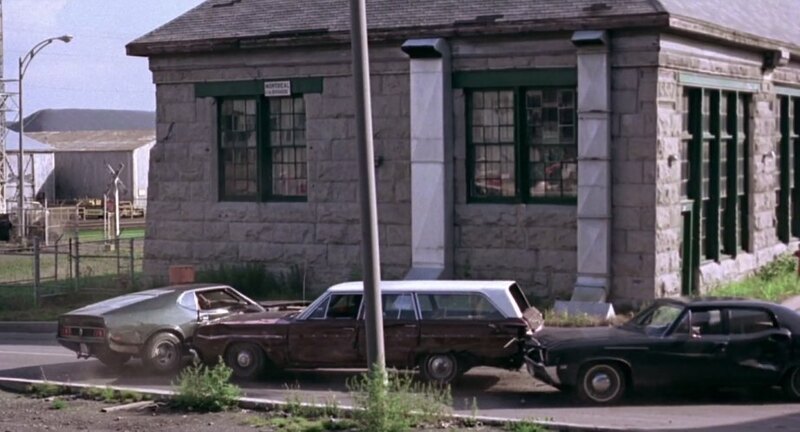 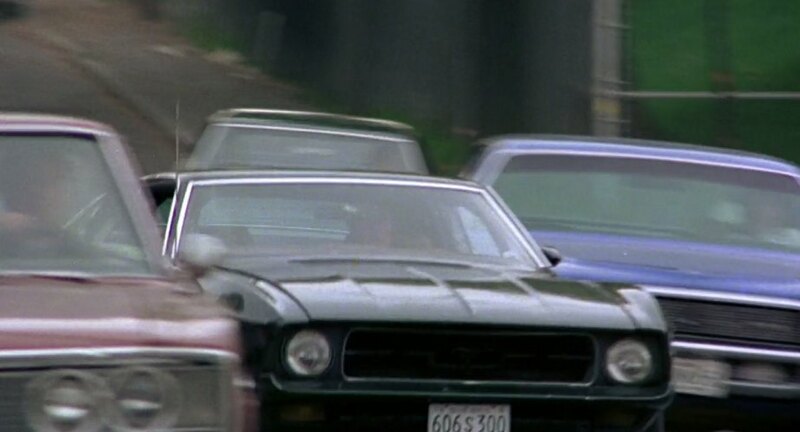 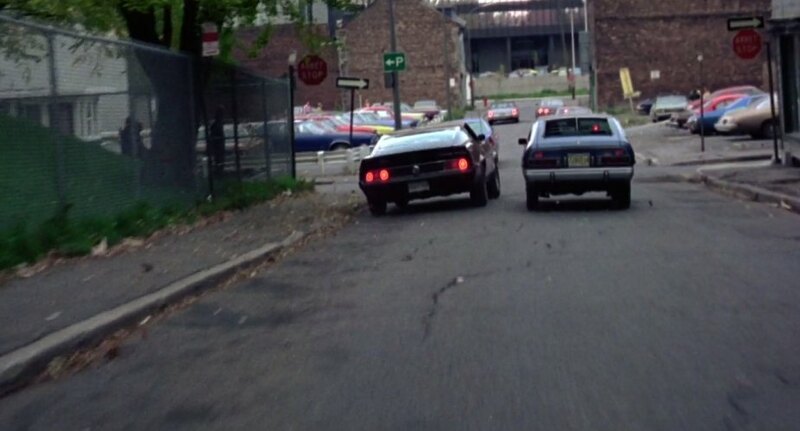 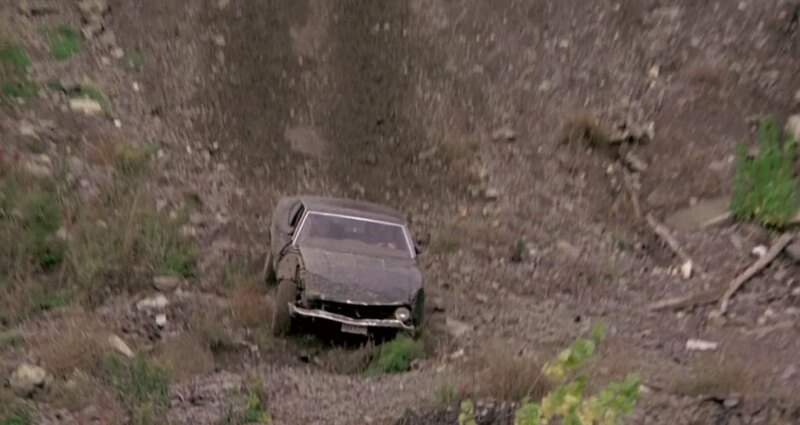 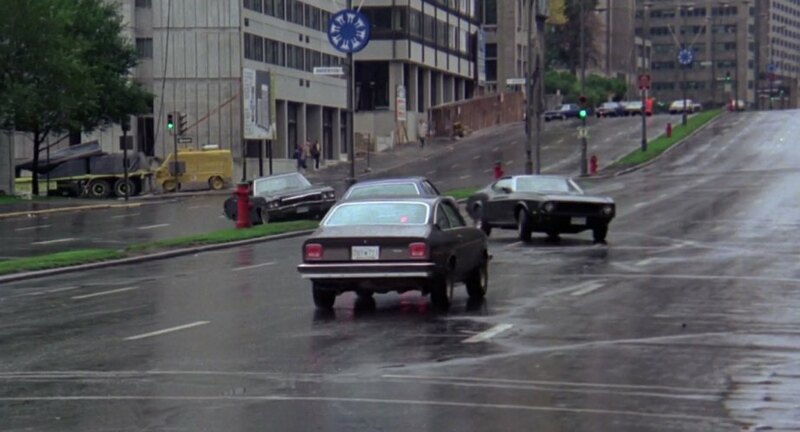 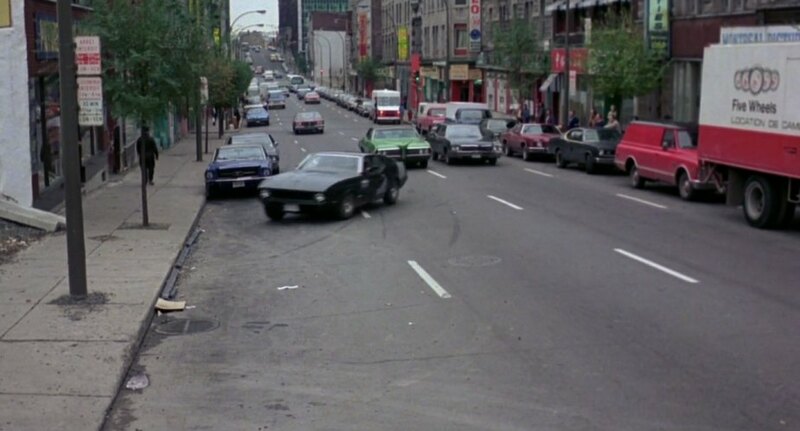 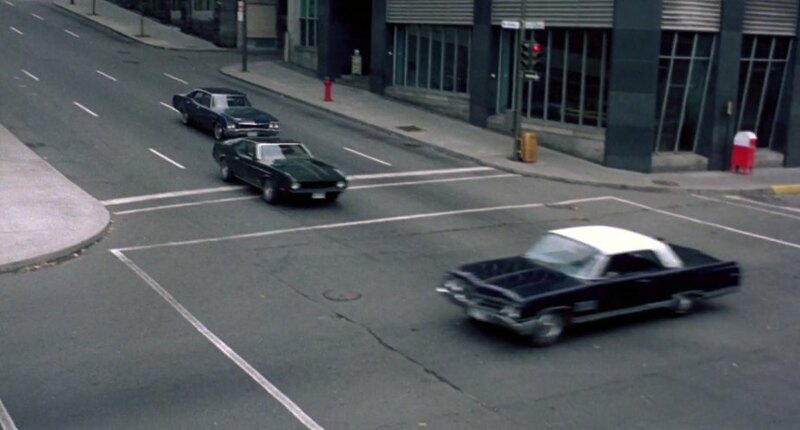 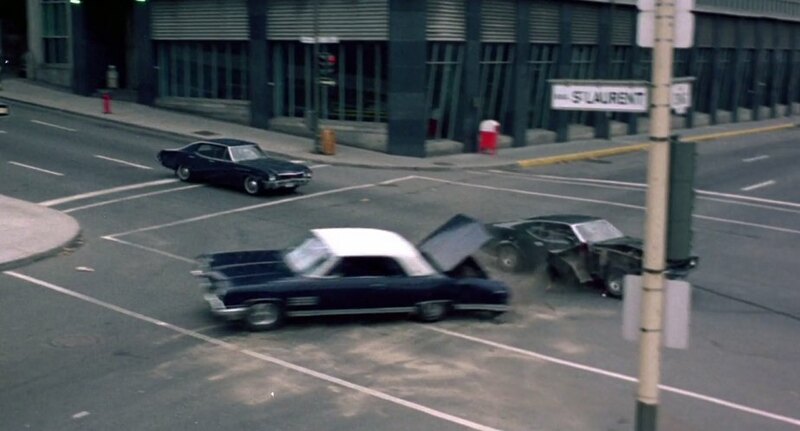 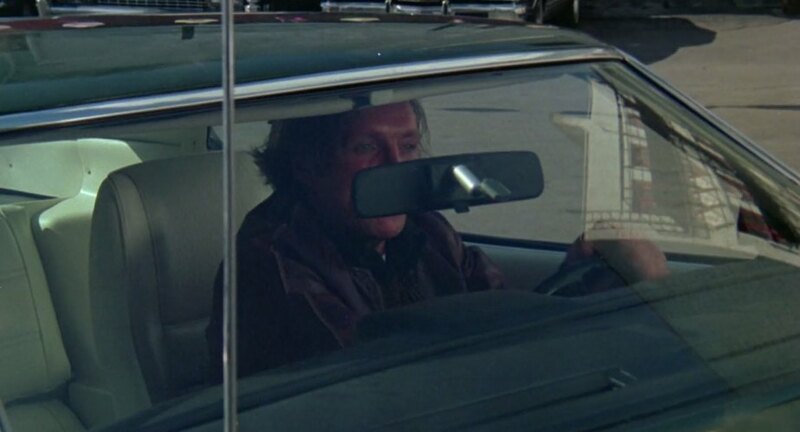 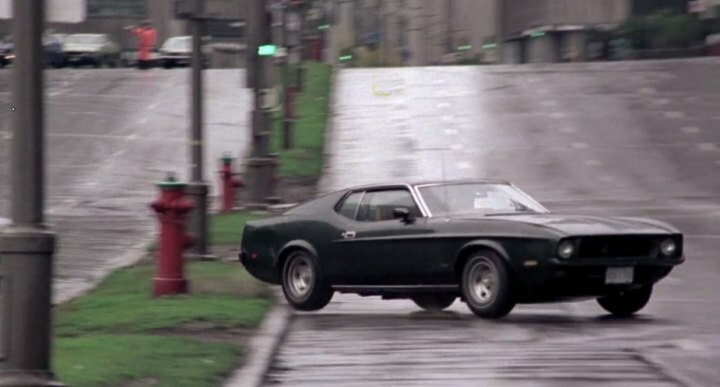 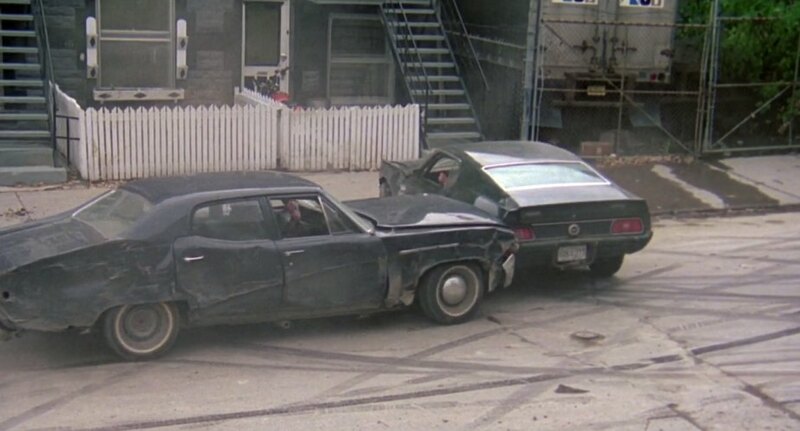 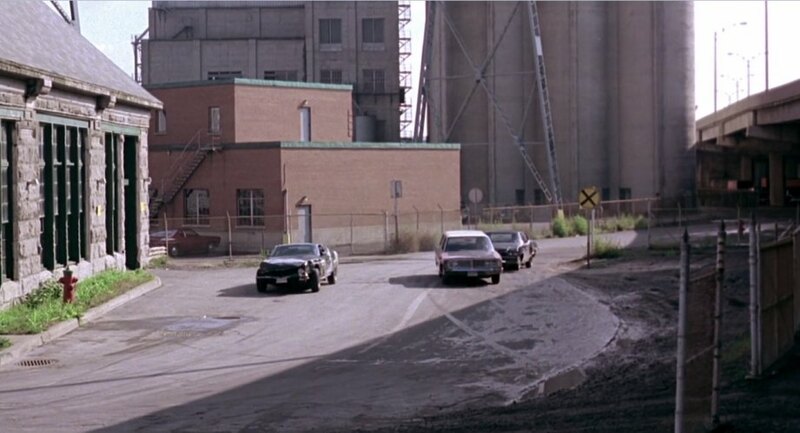 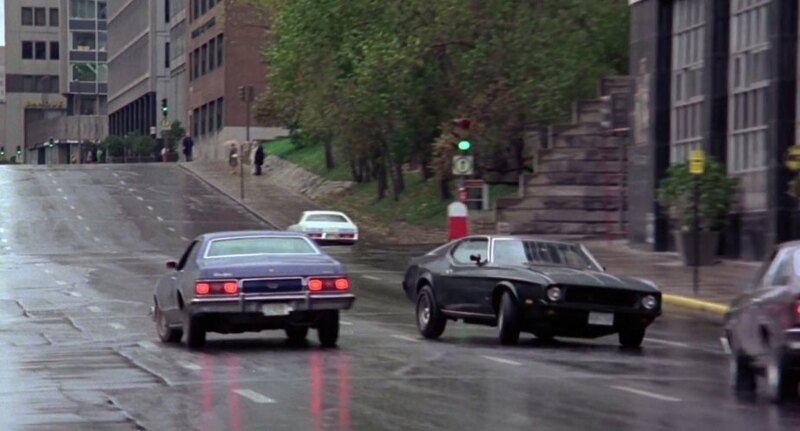 The white interior car (used for interior shots and the first shot in the chase) isn't the same Mustang - it's a Dark Green Metallic car in much better shape, substituted with the junker '72 in the scenes immediately after. 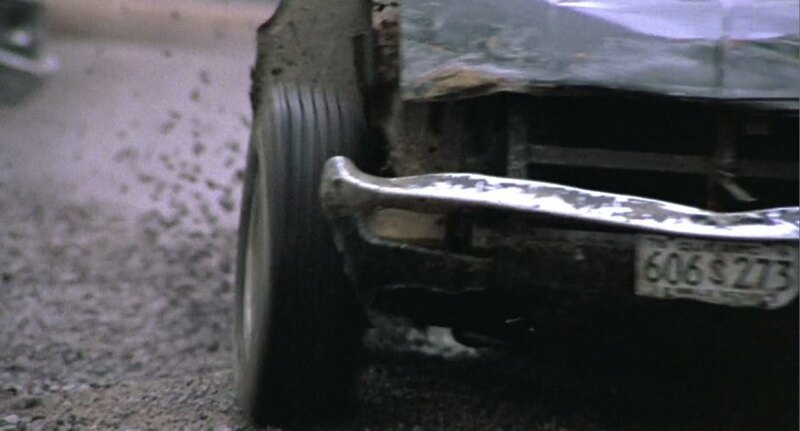 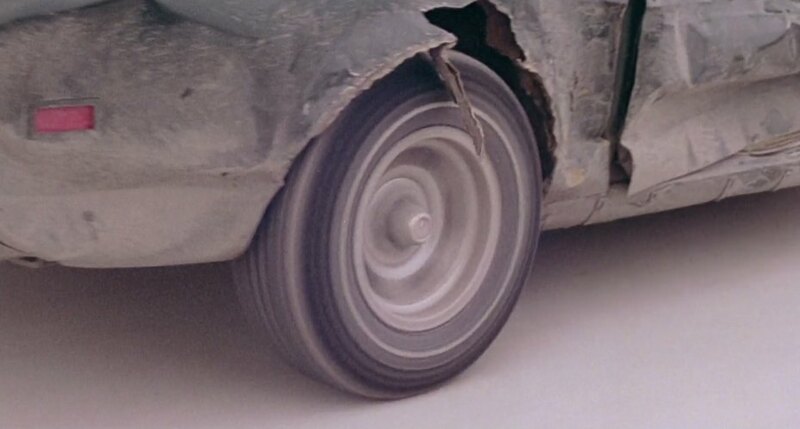 The junker appears to have ginger interior and a rollcage. 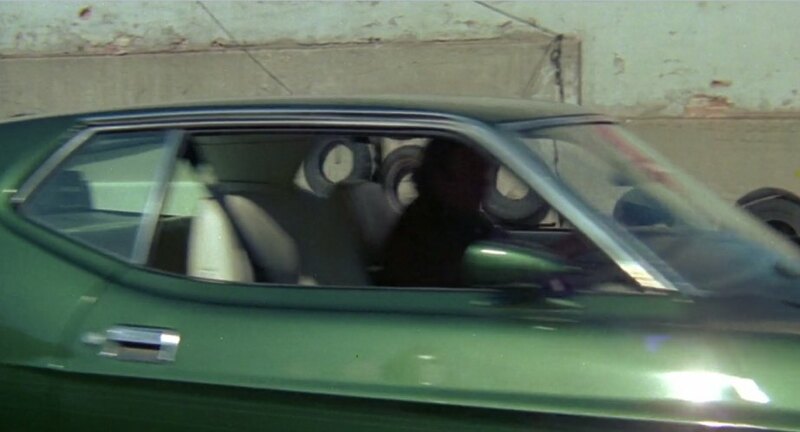 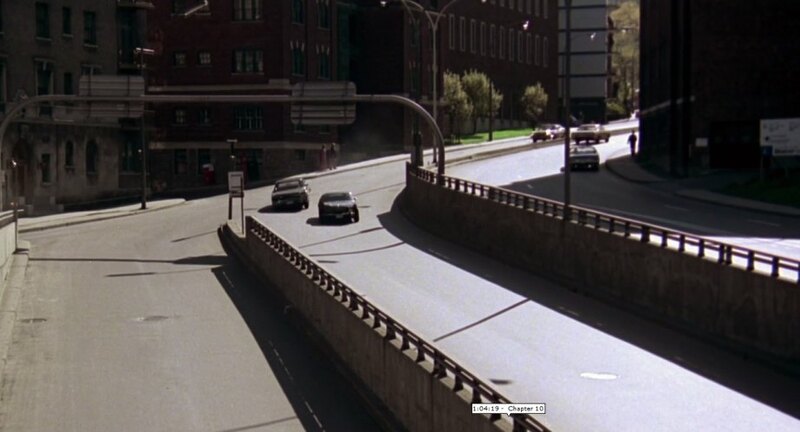 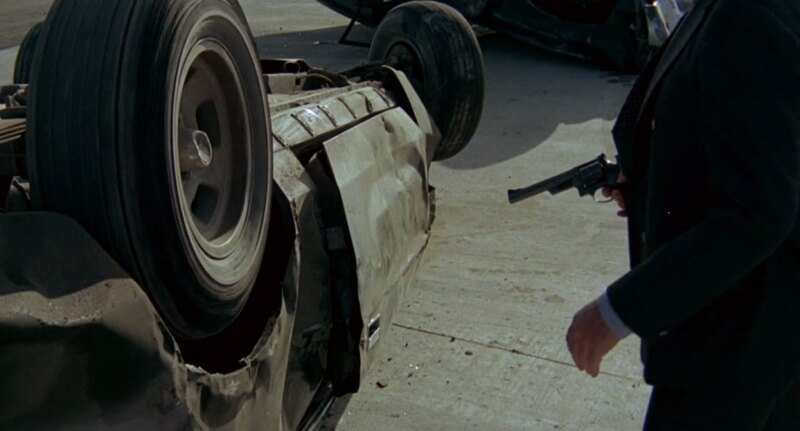 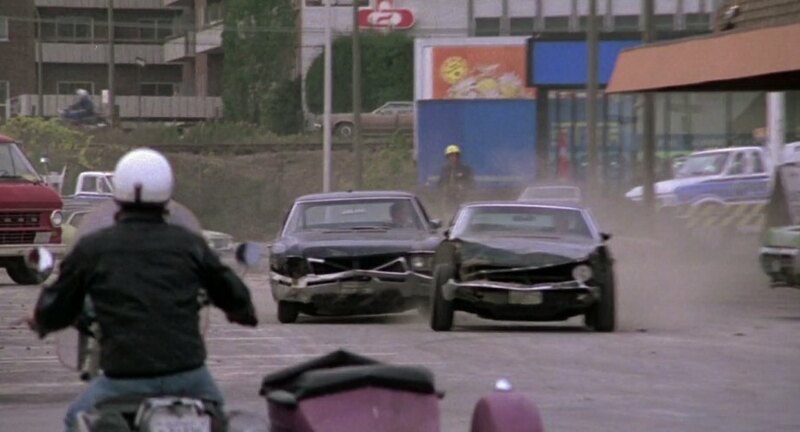 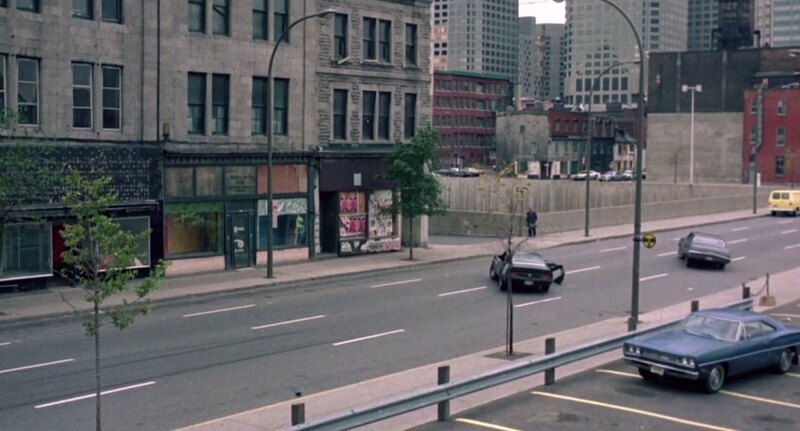 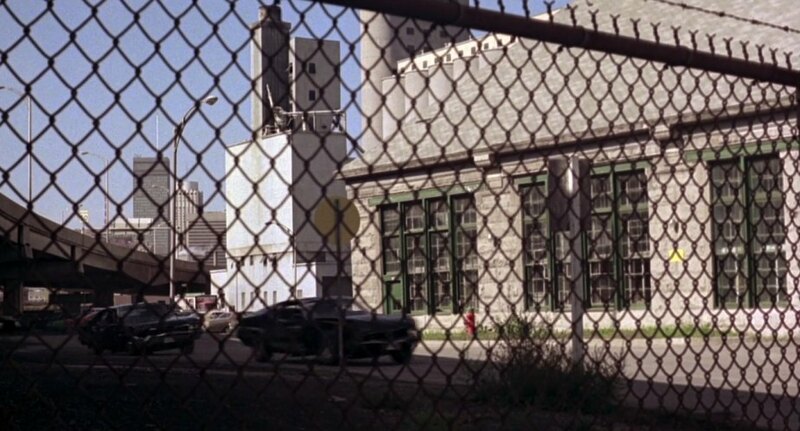 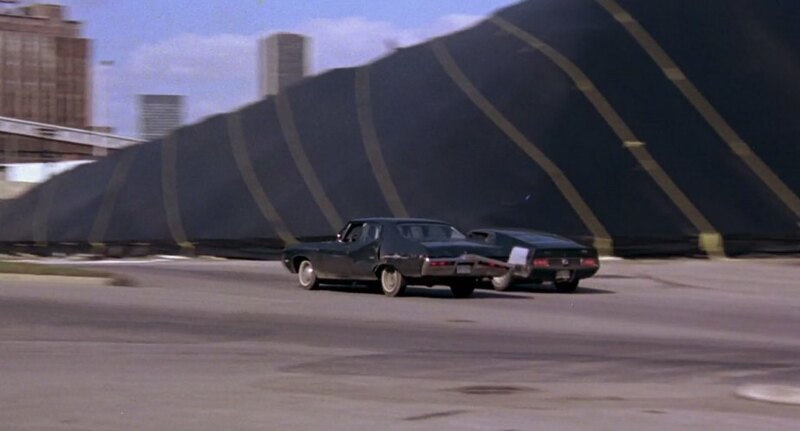 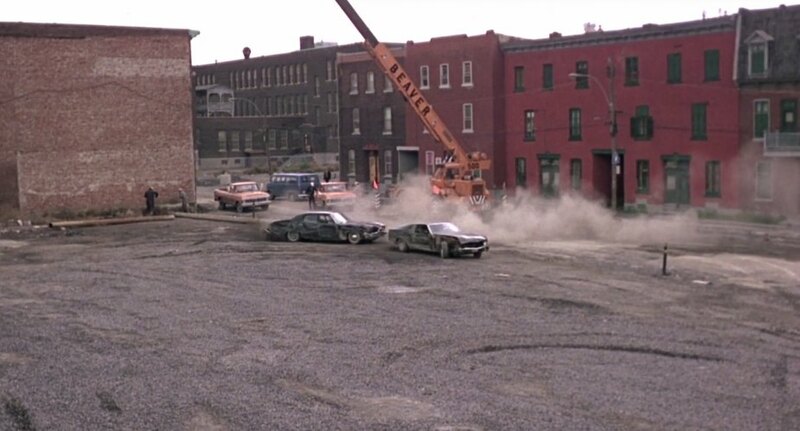 The white interior car seems to be visible for a split second - along with the film crew - when the motorcycle and sidecar crash into the boxes at the shipping depot.